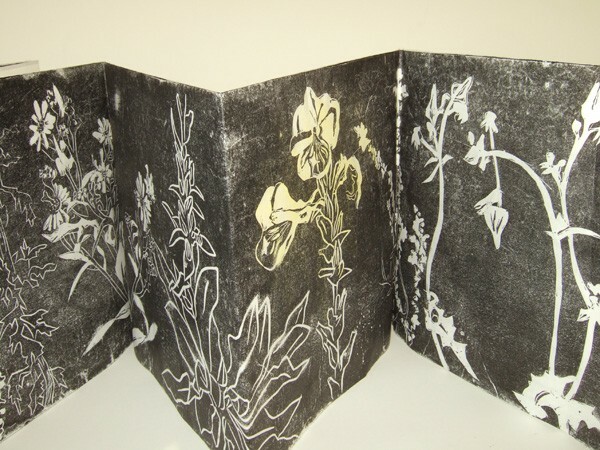 This lino print was printed in an edition of 10 for the PW10 exhibition at Yorkshire ArtSpace, it relates to a journey I made 10 yrs ago from Sydney Works to the new Persistence Works. 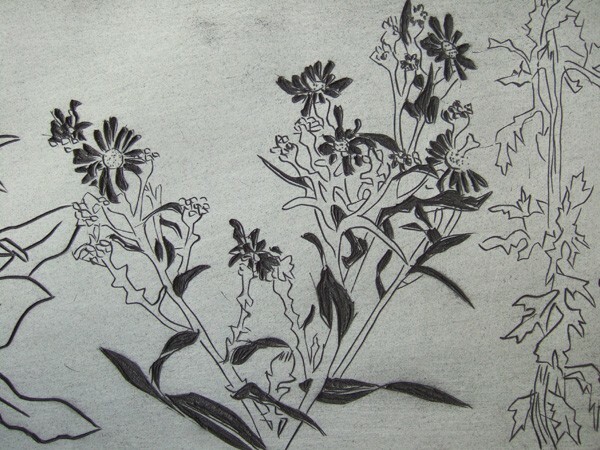 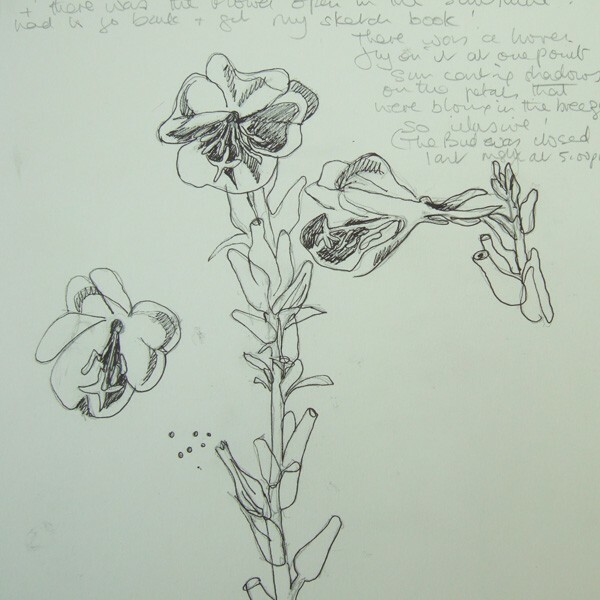 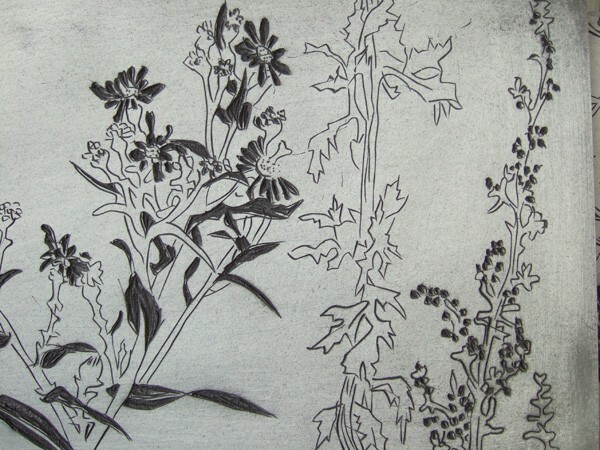 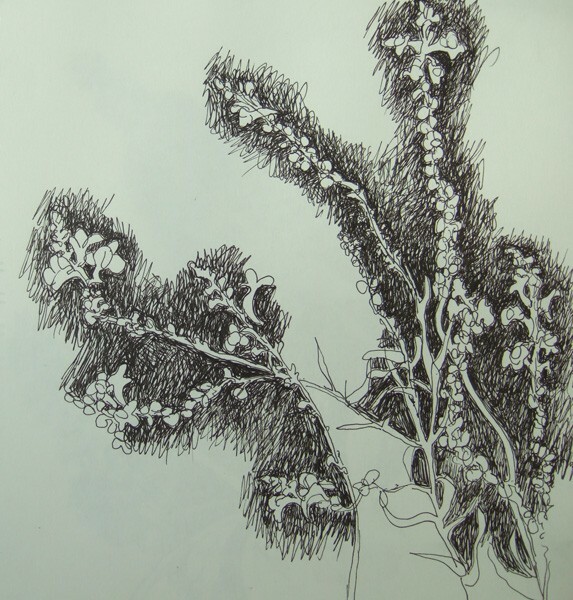 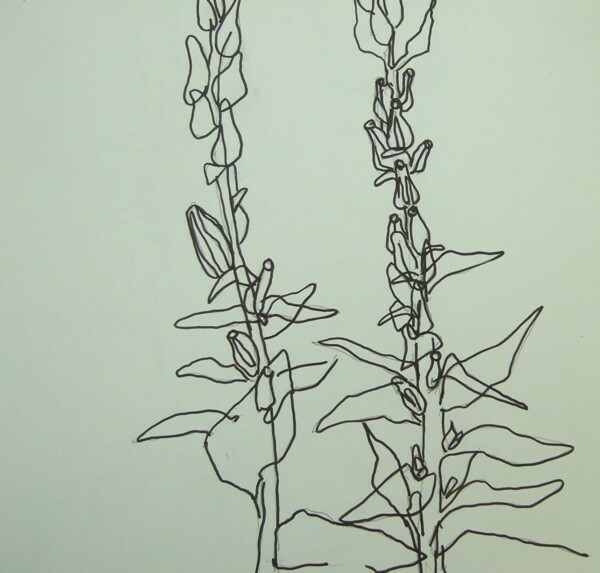 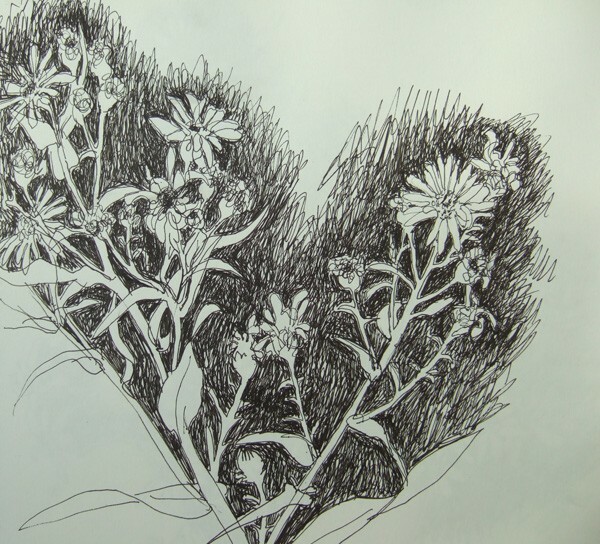 I made drawings of 10 weeds/self seeded plants growing between the two buildings around the edge of the car park. 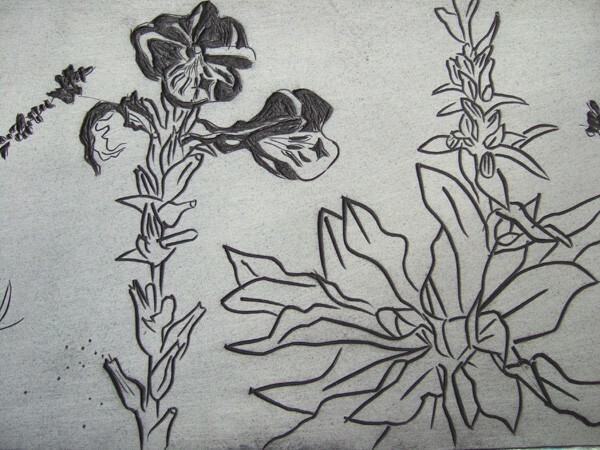 These informed the resulting images on the lino block.